A tribute to the U.S. armed forces features the designers spinning out designs for female veterans to wear at a special event. Actress Katie Holmes and designer Carmen Marc Valvo are the guest judges. Thank you recappers! Next week we get the long-awaited Katie Holmes appearance. See you in seven. The "production" version of Anthony Ryan's winning design is now available. 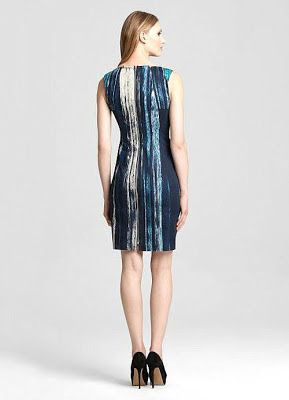 All proceeds benefit the Save the Garment Center Organization. You've seen the designs on the runway and now it's your turn to be the judges. This week you are Carolyn Murphy, Georgina Chapman, Isaac Mizrahi, Elie Tahari and Stacy Keibler. 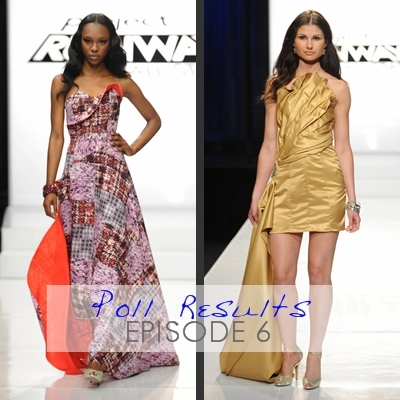 It's down to the final five on Project Runway All Stars as we quickly approach the finale. The competition heats up tonight in "There's No Business Like Sew Business" as the designers must meet a retail budget while creating high-fashion attire. And it looks like free tablets for all on the table there. The BPR crew is here to watch it all go down. Just click on the comment link below and come on in! Our polls for Episode 8 are closed. You disagreed with the judges and felt that Uli Herzner deserved the win. Click here to see the results. You also disagreed with the judges and felt that Ivy should have been out. Click here to see the results. The episode 8 garments are now available for your bids. Right now, Uli's design has the highest price. Click here to see all of the auctions for this week's challenge and to place your bid. Episode 9 Preview Video, "There's No Business Like Sew Business"
The five remaining designers must meet a retail budget while creating high-fashion attire. Elie Tahari and Stacy Keibler are the guest judges. Click here for an interview with Keibler, who "jumped at the opportunity" to be a judge. Tune in Thursday night at 9:00! And Toyouke has thoughts on Season 11. Update: Karen breaks it down! Happy Holidays recappers! No rest for the weary this season, we'll be back again next week. 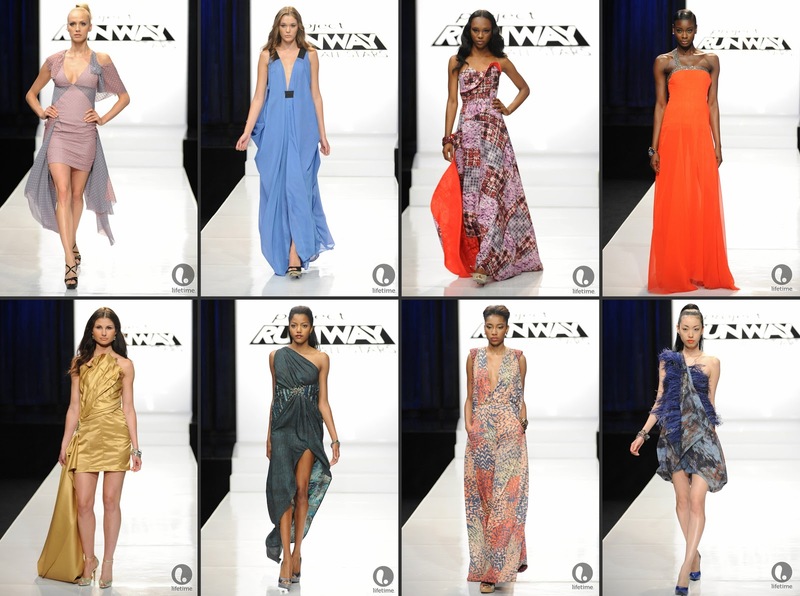 Project Runway All-Star designer, Laura Kathleen Planck talks about her experience on the show. BPR: Have you been watching this season? LKP: Honestly I have not been able to watch the show live, because we seem to be busy on Thursday nights. We record and watch it the next day. It has been a lot of fun to watch with my fiancé. I was not with him during season nine so this is much better. BPR: I was going to ask about your engagement! Have you set a date? BPR: Are you designing your own gown? LKP: It is actually my grandmother's wedding gown from the 40's. It is being reworked by my sample room. I am designing the bridesmaid's gowns though. BPR: What is your color scheme? LKP: We are getting married at "The Fabulous Fox Theater" in St. Louis. It's a mixture of Byzantine and Persian architecture. If you can imagine every crazy jewel tone and gold and stained glass thrown together, that's what it's like. There is so much going on at the venue, that the wedding is pretty neutral. My bridesmaids are wearing white and my gown is candlelight. Click here for Laura Kathleen's website. You've seen the designs on the runway and now it's your turn to be the judges. This week you are Carolyn Murphy, Georgina Chapman, Isaac Mizrahi, Gretchen Mol and Jenny Packham. 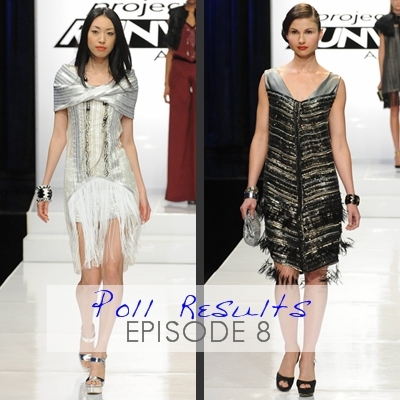 It's a "Fashion Flapper Face Off" tonight on Project Runway All Stars as our six remaining designers go head to head in a '20's inspired challenge. The BPR party crew is on hand to watch it all go down and invite you join us. Just click on the comment tab and come on in! Our polls for Episode 7 are closed. You agreed with the judges and felt that Uli Herzner deserved the win. Click here to see the results. You disagreed with the judges and felt that Ivy should have been out. Click here to see the results. The "unconventional" designs are available for your bids. Right now, Uli's winning design has the highest price. Did you agree with the judges in the last challenge? Click here to vote in our polls. Tune in Thursday night at 9:00 for "Flapper Fashion Face-Off." Tim Gunn, Heidi Klum and Nina Garcia are all returning for Season 11 of Project Runway, but Michael Kors's chair will be occupied by Zac Posen. 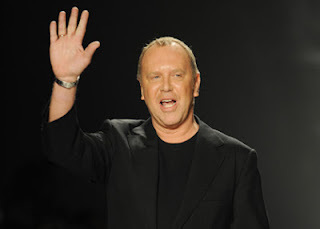 Kors returns to judge the season 11 finale. Also, this season will be "the first-ever TEAMS EDITION." Project Runway’s Season 11 returns with a twist that throws 16 eager designers into a panic when they discover they will be participating in the series’ first-ever TEAMS EDITION, premiering Thursday, January 24, at 9pm ET/PT. This season, the controversial “team challenges” are taken to a whole new level when the designers must work together for every challenge while ensuring their own garments stand out on the runway to host and judge Heidi Klum, Marie Claire’s Fashion Director Nina Garcia and featured judge, award-winning fashion designer Zac Posen. The game-changing new element will push designers to work collaboratively but who will be a team player and who will throw their teammates under the bus? Tim Gunn, will, once again, serve as the mentor to the designers, as they sew their way to New York Fashion Week at Lincoln Centerwhere Michael Kors will serve as the finale guest judge. Guest judges include Bette Midler, Susan Sarandon, Miranda Lambert, John Legend, Joan and Melissa Rivers, Emmy Rossum, Kristin Davis, Jordana Brewster and designers Rachel Roy, Tracy Reese, Chris Benz and Christian Siriano. Season 11 premieres Thursday, January 24th at 9:00 PM. The Miss Universe Pageant is always an amazing spectacle of beauty and over-the-top costuming. Nick is breaking down each "look" for us here. So far, we have the "Best National Costumes,"the "Most Improved," (from portrait to preliminaries,) the "15 Best Evening Gowns," and (everyone's favorite) the "Oh Dear" list. The designers face off by fashioning looks that are inspired by vintage 1920s events. Actress Gretchen Mol and designer Jenny Packham serve as the guest judges. And Toyouke needs only one guest judge. Update: Don't miss The Diva! Thank you recappers, we know it wasn't the easiest week to do this. 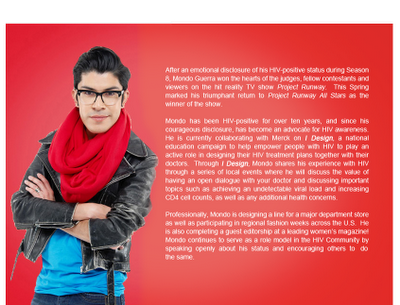 Project Runway All-Star Designer, Casanova, talks about his experience on the show. BPR: Did you know Emilio before appearing on All-Stars? C: I had heard of him because during his season, so many people in every corner of Puerto Rico, people were telling me "Oh my gosh, Casanova, do you know Emilio, he is Dominican on Project Runway." Everyone in Puerto Rico loved Emilio and a Dominican is like a brother to a Puerto Rican. So I watched him on Youtube. I was very happy to meet him. We were very close. He was my roommate. We spoke the whole night in Spanish. He took care of me when I was sick. I was close to the designers in my season, but it was not the same as being able to speak with Emilio in my own language. BPR: Are you still working with Ivy? C: No. Before All Stars we were working on her collection and we finished. If she needs help for her next collection I hope she will call me. Click here to visit Casanova's website. Between now and January 8th, designers may submit entries to the "Aquafina Pure Challenge Design Contest." Four finalists will win a trip to New York City and attend the Project Runway Season 11 Finale Fashion Show. You've seen the designs on the runway and now it's your turn to be the judges. This week you are Carolyn Murphy, Georgina Chapman, Isaac Mizrahi, La La Vasquez and Kylie Minoque. These designer certainly don't look like they are preparing for a Christmas-themed challenge, do they? Maybe global warming has affected the eastern seaboard more than we imagined. Regardless the weather, it's Christmas time in Project Runway land as our seven remaining designers prepare for a holiday challenge. Kylie Minogue makes an appearance as guest judge tonight and we have our own BPR celebrities right here in our weekly party room. All are welcome, simply click on the comment link below and come on in! There is still time to bid on the episode 6 garments. Right now, Joshua's design has the highest price. Click here to see all of the auctions and to place your bid. Our polls for Episode 6 are closed. You disagreed with the judges and felt that Casanova deserved the win. Click here to see the results. You disagreed with the judges and felt that Ivy should have been out. Click here to see the results. All Stars Judge, Georgina Chapman talks about Project Runway, her upcoming Lifetime Special, Project Runway Spotlight: Marchesa, and motherhood! Which designer of this season of All Stars do you think would make a great children’s clothing designer? G. Chapman: Maybe Uli because she has that sense of whimsy that I think would be great. I’m thinking girls because I have a girl. So I think she would make really cute little baby clothes. The differences between Season 1 and Season 2 of All Stars? G. Chapman: I think the first season it was new for all of us and this time around we’ve done it before. What amazed me is that it still felt completely fresh, completely new and just every time because there are new people. There are new personalities. There is really not like, “Oh, we’re going to do the same thing again.” It just isn’t. Each week is different. I think when you’re dealing with creatives you’re always in for surprise, and I think that’s why this show is so much fun for Isaac, myself and Carolyn to do. We really look forward to coming and judging the shows. As I said before, we do get a bond with these designers. I couldn’t really saw which season I preferred or didn’t. They were all just different in their own way. Iconic pop singer Kylie Minogue is joining Carolyn Murphy, Isaac Mizrahi and Georgina Chapman on the judges panel for this week's episode...the unconventional challenge! (TV personality La La Anthony is also sitting on the panel!) In the episode, the seven remaining designers play naughty or nice when the challenge brings them to a Christmas décor emporium. Carmen Electra wore this Michael Costello design at the American Country Awards Show last night! The seven still-standing designers take on an unconventional challenge with a holiday theme. Singer Kylie Minogue and television personality La La Anthony are the guest judges. Hard to believe there have only been six episodes, seems so much longer. Onward! Project Runway All-Star designer, Althea Harper talks about her experience on the show. BPR: Some of the designers really struggled, and your design seemed to be just what you wanted. If you could go back, would you change anything? AH: No. Not really. The flaps that hung down at the sides were actually very different when we left the workroom. During transport to the runway, the flaps somehow came undone. That was not how they were supposed to be. I was a little disappointed because there were other occasions when designers were allowed to repair garments, but I approached the producers and asked if I could and I was turned down. I did not feel that was fair. But ultimately at the end of the day, I could see the writing on the wall. The judges had certain favorites. Even if I had survived this challenge, I might have lasted only another week or two. I did not feel that way during season 6. I didn't feel that I had to bring a certain "character" or "drama" to the set, but for All-Stars it was evident that the producers and judges were looking for characters. I am not a character. I am a designer! I am not going to act a certain way just to bring more drama to the screen. Click here to visit Althea's website. You've seen the designs on the runway and now it's your turn to be the judges. This week you are Carolyn Murphy, Georgina Chapman, Isaac Mizrahi, Diane von Furstenberg. 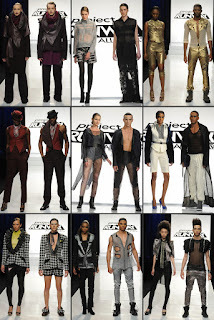 Hello again All Star fans, it's time for another ride along the rails with the Project Runway alumni club. Tonight the designers go green as they work with eco-friendly fabrics and materials. The party room is now open for your carousing pleasure as we watch PRAS together. No TBone tonight sadly as he has a date with Quentin Tarantino. Have fun and play nice! Diane von Furstenberg on Project Runway All Stars Tonight! Project Runway Season 7 Champion, Seth Aaron Henderson, created this gown for the Urban Unveiled Bridal Show in Seattle. Our polls for Episode 5 are closed. You agreed with the judges and felt that Emilio Sosa deserved the win. Click here to see the results. You disagreed with the judges and thought that Laura Kathleen should have been out. Click here to see the results. There is still time to vote in our episode 5 poll. Did you agree with the judges this week? Click here to vote - thank you! 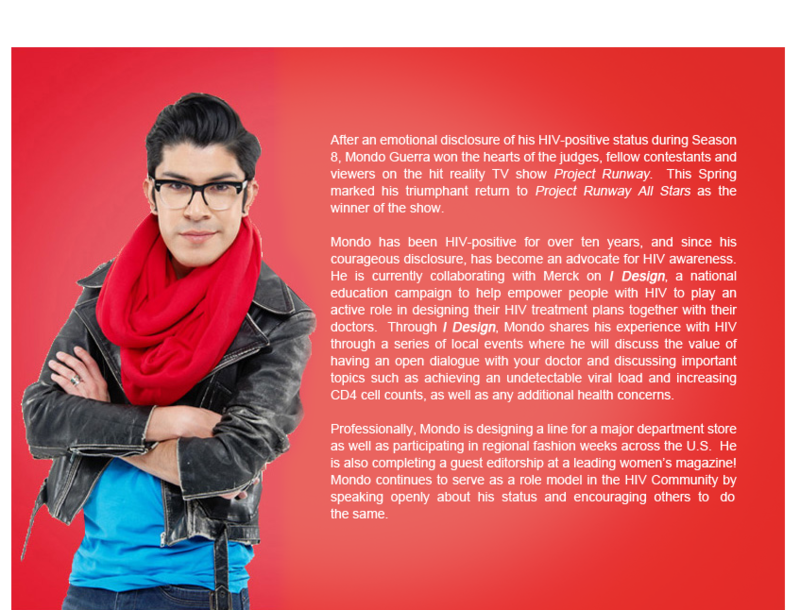 Project Runway All Star Auction "You've Got Male"
There is still time to vote in the episode 5 auctions. Right now, Uli's designs have the highest bid. DvF joins the judging panel on this week's episode of Project Runway All Stars. 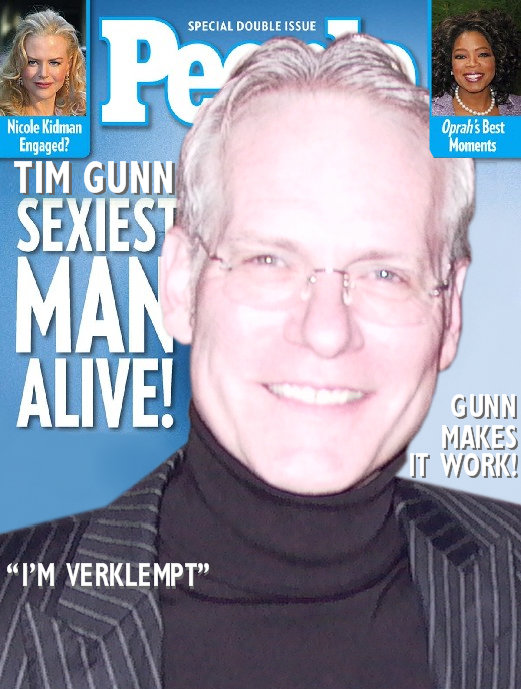 Tune in Thursday night on Lifetime. 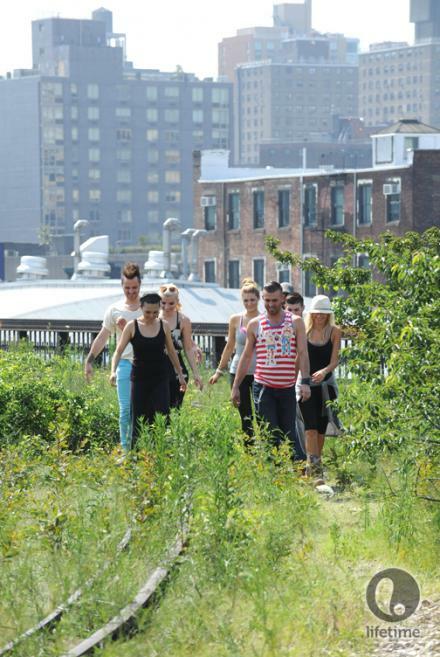 Episode 6 Preview Video "Green Dress for the Red Carpet"
The All Stars gather at NYC’s Highline and are challenged to create a red carpet gown using only green, eco-friendly fabrics and materials. The legendary Diane von Furstenberg guest judges. The Project Runway host talks about her holiday party, which benefitted victims of Superstorm Sandy. Project Runway All-Star judge and her husband, producer Harvey Weinstein, are expecting their second child in the spring! "We are both over the moon!" says Chapman. Christian reveals his guilty pleasures and more in this interview at adrinkwith.com. Heidi's Annual Halloween Bash was rescheduled into a "Haunted Holiday Party" benefit for Hurricane Sandy on December 1st. 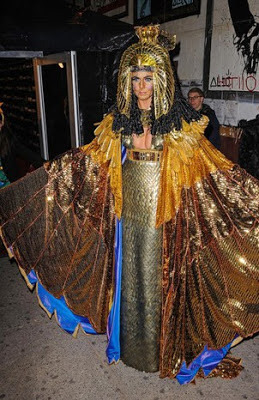 Of course Heidi went all out in this Cleopatra costume. And Toyouke brings us back home. Project Runway All Star Designer, Kayne Gillaspie, talks about his experience on the show. Kayne and Josh McKinley are partnering on a collection of cocktail and evening dresses which will be available in the Fall of 2013! Kayne is still doing pageant gowns and shoes and recently launched a lingerie collection. Kayne designed the gown for Miss Oklahoma 2011, Betty Thompson - First runner-up to Miss America! Click here for Kayne's website. Lifetime just announced on their Facebook page that Season 11 of Project Runway will return on Thursday, January 24 at 9:00 p.m. 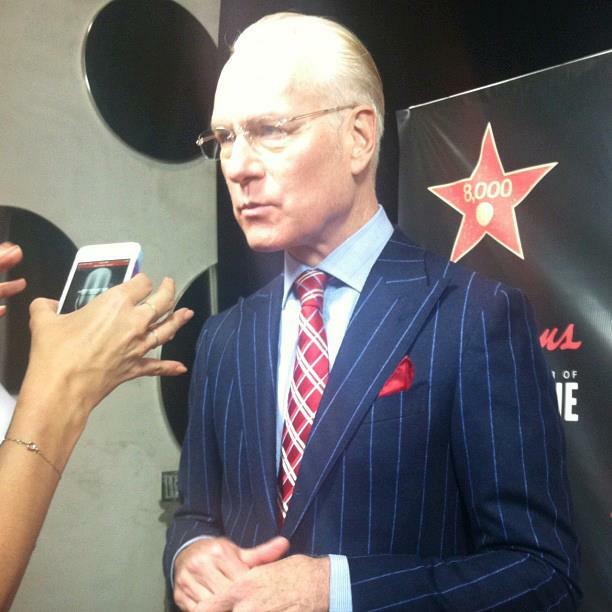 This will be the first winter run for Project Runway since Season 7. Stay tuned for more! You've seen the designs on the runway and now it's your turn to be the judges. This week you are Carolyn Murphy, Georgina Chapman, Isaac Mizrahi, Jason Wu and Robert Rodriguez. Welcome back All Star fans - we hope everyone had a great Thanksgiving break. 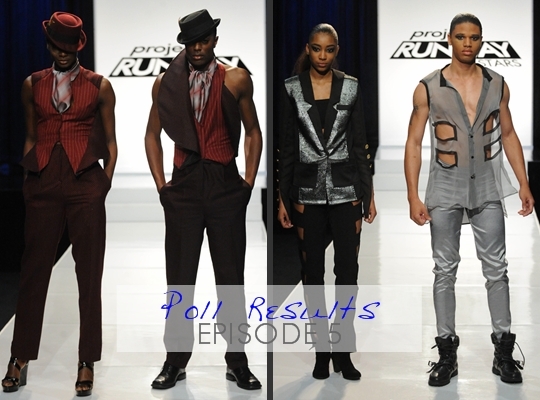 PRAS gets back to it tonight in Episode 5 "You've Got Mail", where the designers get to work on an androgynous look. Guest judges are Jason Wu and Robert Rodriguez. We're hosting another live episode party this evening, simply click on the comments and come on in!